Last week Microsoft announced Project Scorpio and amazed everyone by revealing what appears to be the new generation of Xbox. In the announcement the console was dubbed the 'We heard you console' and labelled a 'monster'. It appears to be the next generation of hardware that Sony didn't see coming. 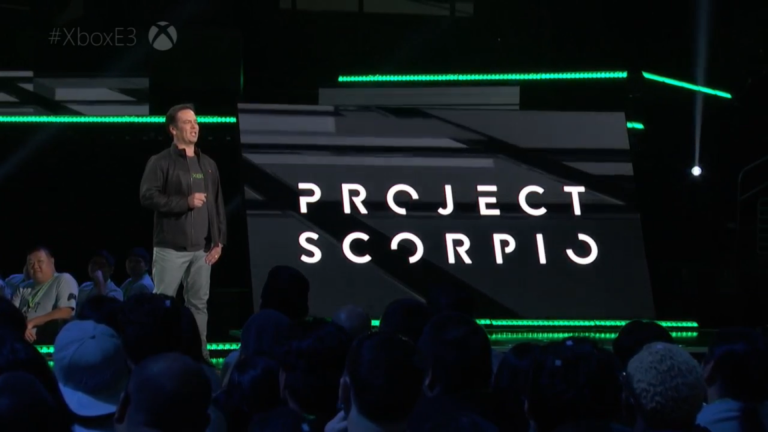 The president and global chief executive of Sony Interactive Entertainment, Andrew House, said he was 'surprised' by the announcement of Scorpio in an interview with the Financial Times. Instead he insisted more details on the recently confirmed Neo will only be revealed once there are enough compelling features to make the console appealing. Microsoft shed light on the next generation of Xbox well over a year before the console is expected to launch in December 2017. But after the shotgun blast of Scorpio and its highly touted specs, has Neo just gone back to the drawing board? The messaging before E3 about Neo seemed to be simple, bring a console in half way through the lifecycle to give developers some more power to work with and stop higher end consumers upgrading to PC's in the later years of the consoles life for better performance. Neo seemed to be a half step in this generation of hardware, but Microsoft seems to have learned from its mistakes with Xbox One and is wanting to start a new round of console wars. With VR on the horizon and 4K technology being more widely adopted, it makes sense to take advantage of these new technologies now and not wait another five years or so where both companies would traditionally release another system. Whether Sony and Microsoft are making one-off iterations of the current consoles to pounce on this tech early remains to be seen. Microsoft is being very bold and has made the first move in a generation where it's constantly been on the back foot. Now it's Sony's time to react. A few days before E3, House said Neo would not make an appearance at the gaming convention. The Xbox One has been plagued by a slew of errors by Microsoft who came out the gates with a vision that was soon abandoned. Resolution debacles and performance problems haven't stopped since graphics comparisons of launch titles hit the web. Rumours suggest the tables will turn for the next couple of consoles with Xbox having the upper hand with six teraflops of power. Sony knows the PlayStation 4's success has not only come from their consistent messaging towards gamers, but also because games in general run better on the system. The predicted 4.14 teraflops for the Neo means the console will be severely underpowered when looking at the competition. Not sharing any details about Neo at E3 suggests the company is going back to the drawing board for the console. If rumours are true, Sony needs to do exactly that to avoid releasing a PS4.5 alongside an Xbox Two.